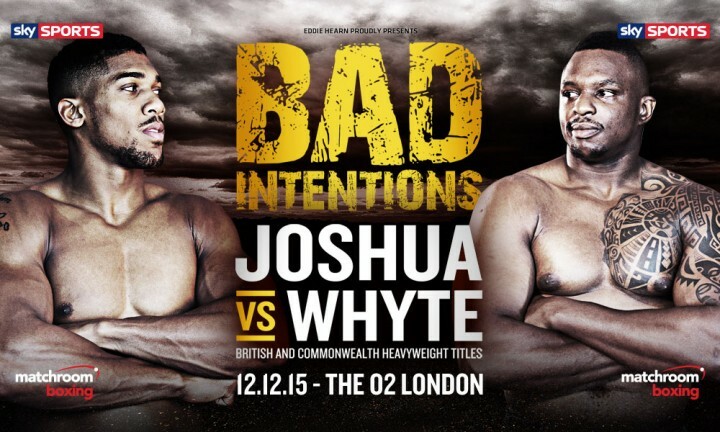 Matchroom Sport’s unbeaten London 2012 gold medalist Luke Campbell (12-0,10ko) has been added to the December 12th Anthony Joshua/Dillian Whyte bill, with a promise that the lightweight star will be in a big fight on the night, quite possibly in a WBC title eliminator against Dagenham’s Kevin Mitchell. Campbell (WBC #8) was last seen at the beginning of August, outclassing domestic rival Tommy Coyle en route to earning a 10th round stoppage, picking up the lightly regarded WBC international 135 lb strap in the process and improving his ranking with the Mexico-based governing body. “I’ve had a solid rest since the Coyle fight and my camp is just getting underway for December 12,” Campbell said. “August 1 was a great night for boxing in Hull and I’m pleased I managed to get the rounds under my belt in that fight. Londoner, Mitchell – also promoted by Eddie Hearn’s Matchroom – holds a #3 ranking with the WBC and was last seen in a heroic challenge to current champion Jorge Linares back in May, sadly coming up short when a grotesque eye injury helped close matters when he was stopped inside 10 rounds after earlier decking the champion. The spirited challenge – Mitchell’s third at a world strap – left many fans believing he still has enough left to finally capture that elusive title, and it would seem logical that Eddie Hearn would match the two in an eliminator to see who truly deserves to move forward toward Linares in that regard. The champion snubbed Mitchell for an immediate rematch and returns instead to his native Venezuela to box little known challenger, Ivan Cano, on October 10th. Speaking to Sky Sports about Linares, Campbell said. “Of course he is on the radar. Anyone who’s got a world title belt is on my radar. For me, he is probably the lightweight that stands out in world boxing the most at the minute. The 135 lb scene in the UK is thriving at the minute, with Matchroom fighter Anthony Crolla set for another crack at the 2nd tier WBA belt when he rematches Darleys Perez in November. Scotland’s former champion Ricky Burns and British champion Scott Cardle are all also with the stable, while over at Frank Warren’s Queesnbury, Terry Flanagan holds the WBO world strap and Liverpool’s Derry Mathews is the current 3rd tier, interim WBA titlist.